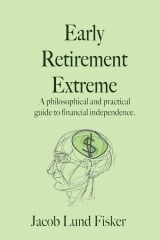 The author of Early Retirement Extreme: A philosophical and practical guide to financial independence , Jacob Lund Fisker, is a fellow Yakezie member and the publisher at Early Retirement Extreme (ERE). I jumped on it when he offered an opportunity to read his book recently. If you are a regular ERE reader, then you know the extreme is not an exaggeration. Evan at My Journey to Millions wrote about trying to understand Jacob’s philosophy. You see I’ve also been trying to understand it and we both keep reading! Reading this book lit the bulb in my brain and although I wouldn’t go as extreme, there’s a lot of valuable information in the book. The material is divided amongst seven chapters with subsections for each reminding me very much of academic books I’ve read in the past. I’m going to share my two favorite sections of the book to give you a taste of what’s included. The economic classifications of people was very interesting. The four types include salary man, working man, business man and renaissance man. I would consider myself a salary man person with a specialized job. For me the goal would be to become a business person, but Jacob proposes the renaissance man is the best of all worlds. This chapter is fascinating with advice on how to put a simpler lifestyle in place starting with how to deal with stuff. Then he moves on to practical information on all aspects of living including shelter, transportation, health and more. He almost motivated me to bike to work and I don’t even own a bike! If you want a simpler lifestyle (and I hope you do) but don’t know where to start, I would recommend reading this book and subscribing to Jacob’s blog. My copy will be visiting other personal finance bloggers to read so keep an eye out for future reviews! I recently received this book and I’m looking forward to reading it. I would be interested in implementing some of the ideas, though I doubt to the extreme that Jacob practices them.